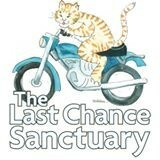 BUDDY Rescue is working with The Last Chance Sanctuary. If you are looking for a kitty to adopt, please check out their website. A great place for those speciality Dachshund items.